Home Shop by Category Toothpaste Acca Kappa Green Toothbrush. Acca Kappa Badger Hair Toothbrush. This green toothbrush has been made with natural badger hair. 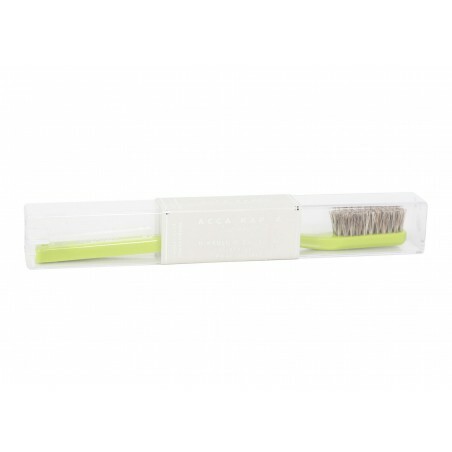 The bristles are extra soft leaving your teeth feel smooth and clean. The badger hair allows the teeth to be cleaned naturally without you having to worry about the enamel on your teeth being damaged. This brush is especially recommended for those people with sensitive gums and post surgery. Simplicity and luxury. It comes in a plastic case.